Africare was founded in 1970 by former Peace Corps members Dr. Joseph Kennedy -- who had worked in Eastern Niger -- and Payne Lucas, a former Nigerian diplomat. Africare -- the oldest and largest African-American led organization in the development field -- is a leader in providing development assistance in Africa. Since 1970, Africare has been improving lives and building a better future for Africa by focusing on healthcare, maternal and child health, HIV/AIDS awareness, providing access to water, agriculture support, and food security. In more than 40 years of building partnerships with local communities, NGOs, governments, and the private sector, Africare has invested more than $1 billion in more than 35 countries in sub-Saharan Africa. The organization employs more than 1,400 people, largely indigenous to the countries or to the areas where it works. More than 90% of the staff is of African descent and only a few dozen staff members work at the organization’s headquarters in Washington, D.C. Africare’s staff have unparalleled knowledge of the continent -- its challenges and opportunities -- and have nurtured valuable relationships with key figures ranging from community leaders and traditional authorities to presidents and prime ministers. Africare centers its development approach on active community participation and partners with local organizations to ensure institutional strengthening and capacity building. Africare's programs mostly address needs in the areas of food security and agriculture, health and HIV/AIDS, water and sanitation, and emergency and humanitarian aid. Africare also supports water resource development, environmental management, basic education, microenterprise development, governance initiatives, and women's empowerment. Africare initially concentrated on providing help to alleviate the effects of the severe drought in West Africa. By the mid-1970s, the organization had shifted its emphasis to development programs in food, water, environment, and health -- expanding in the 1980s to include private-sector development and governance. The organization also provides rapid humanitarian aid in times of crisis. To date, Africare has delivered more than $350 million in assistance to 2,000 projects and millions of beneficiaries in 35 nations. Today, the organization's >150 programs reach families and communities in 26 nations in every region of the African continent. Some projects are as small and simple as the digging of a village well, while others are as large and complex as HIV/AIDS prevention, child survival, and maternal health on a regional scale. But they are all African projects. Responding to local initiatives, Africare closely cooperates with African planners, field experts, village leaders, and workers -- complementing rather than pre-empting local resources and skills. 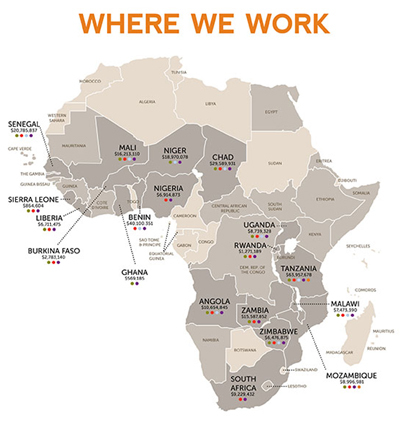 Africare’s coverage is among the widest and far-reaching of any organization working in Africa, representing > 2,500 projects in 36 countries in Africa (since inception). It works in all major regions of the continent and is currently assisting Angola, Benin, Burkina Faso, Burundi, Chad, Cote d'Ivoire, Egypt, Eritrea, Ethiopia, Ghana, Guinea, Liberia, Malawi, Mali, Mozambique, Namibia, Niger, Nigeria, Rwanda, Senegal, Sierra Leone, South Africa, Tanzania, Uganda, Zambia, and Zimbabwe. The organization has been a pioneer in village-based rural development in Africa, and in the area of health it has contributed to special achievements in child survival, river blindness control, nation-wide pharmaceutical management, and AIDS prevention at the grassroots level. Africare has constructed thousands of wells and irrigation systems, bringing safe, reliable water supply to some of the most isolated, desert communities in Africa. Food production, food monetization, and food security continue to represent major focal points of the organization's work -- as does assistance to small-scale entrepreneurs, from edible oil producers throughout Southern Africa to women farmers and women-owned co-ops continent wide. Agriculture & Food Security – Africare believes that Africa can be the world’s next “bread basket” -- despite the difficulties faced by African farmers at every stage of producing and selling crops. Large areas of soil are nutrient deficient, rains are erratic, technology is scarce, credit is limited and markets are often out of reach. Approximately 80% of Africa’s farms are small plots run by rural farmers, and if they are equipped with knowledge of the best agricultural practices and basic inputs such as improved seeds, they are able to maximize the yields of diverse crops to feed themselves, their families, and their communities. Africare supports farmers at every stage of production and selling by providing access to enhanced inputs such as fertilizers and modified seeds, training in best agricultural practices, development of farmers associations, access to micro-credit, and links to competitive markets. Africare’s System of Rice Intensification in Mali increased average rice yields from 4.86 to 9.10 metric tons per hectare and enables farmers to become productive and self-reliant in the face of increased climate variability. In Mozambique, Africare trained agriculture promoters to teach productivity-improving techniques, market-linkage strategies, and leadership and management skills. It also mobilized 92 farmers’ associations to engage in contract farming. Almost 90% of the~19,000 beneficiary farmers reported an increase in income. Health HIV and AIDS – On almost all measures -- from the rates of child and maternal mortality, malnutrition, HIV/AIDS, and deaths by preventable diseases to the availability of clinics and medical personnel -- sub-Saharan Africa faces the world’s most serious health problems, but has the fewest resources to solve them. Africare’s strength lies in its ability to work deeply with communities, mobilizing local resources to successfully achieve results for a wide range of health programs. 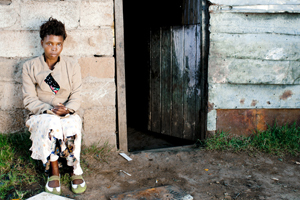 Due to Africare’s support to hospitals, clinics, and community-based organizations, in 2012, more than 103,000 people received voluntary HIV testing. More than 35,000 people living with HIV & AIDS,and more than 24,000 orphans and vulnerable children received home-based or community-based care and support. 63 of the Africare-supported health facilities recorded 0 cases of mother-to-child transmission of HIV from September 2011 through August 2012, enabling a new generation to grow up free of the disease. Water, Sanitation, and Hygiene – Sub-Saharan Africa has the lowest sanitation coverage in the world. About 70% of the sub-Saharan population (nearly 600 million people) has no access to an improved sanitation source, and open defecation is still common among Africa’s poorest. Water-related illnesses cause incalculable suffering in Africa and undermine many development efforts. Women Empowerment – As African women become more educated, they provide their households with superior nutrition, food security, and increased access to healthcare. That being said, sub-Saharan women constitute only 15% of the region’s landholders, and they face disproportionate challenges ranging from domestic violence and sexual exploitation to illiteracy and diseases. Africare always encourages women to participate in stakeholder committees and to assume leadership positions therein. 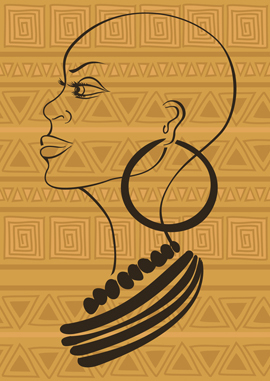 They are mentored by other successful women and receive Africare-vetted leadership coaching to ensure that African women speak out and that they are heard. Since 2002, the African Well Fund has counted on Africare to implement numerous projects across the continent, such as constructing wells, rehabilitating water points, and training communities on their proper use. Coca-Cola, and DEKA Research and Development have also entrusted Africare to deliver clean water to African countries with groundbreaking “Slingshot” water purification technology, which extracts clean water out of almost any source. Funded by President Barack Obama with a portion of his Nobel Peace Prize --Africare employed a behavior change campaign to stimulate demand for sanitation in four communities in Ghana and trained masons to construct ventilated latrines. When the project ended, the communities had built 86 household latrines, and local nurses, teachers, students and parents had learned how to avoid water contamination and lead healthier lives. 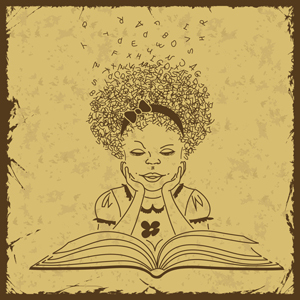 Africare urges women to set challenging goals for themselves, and Africare projects have provided literacy training, business training, labor-saving equipment, organizational mobilization, financing, and market access to help women achieve their goals. In its first three years, Africare’s Initiative for the Economic Empowerment of Women Entrepreneurs Project (IEEWEP)reached more than 1,600 women in Southern Chad, increasing household incomes by 60%. These women now possess skills to continue improving their lives and their communities. In 2013, Africare partnered with Shea Touch®, a Texas-based and Chadian-owned personal product brand, to contract IEEWEP women to produce key ingredients for the cosmetic products that Shea Touchsells worldwide -- creating an opportunity for IEEWEP beneficiaries to shatter the $2-per-day income ceiling for women in the region. Resettlements – Infrastructure improvements are vital to development in Africa, but these projects often require the relocation of people living in the area. Resettlement is a major human and logistical challenge. Even projects run by the most capable and conscientious companies sometimes adversely impact populations because crucial components of resettlement are often overlooked. Africare’s locally hired field staff are committed to participatory consultations with all stakeholders, including project-affected persons (PAPs), local government officials, and project proponents. In Quelimane, Mozambique, new homes were planned for families impacted by a drainage rehabilitation project. Consultations with the affected population revealed a critical adjustment necessary for the new houses to align with traditional home designs, and accounting for these cultural values secured a positive outcome. For more than four decades, Africare has earned the trust of local communities and governments, implementing both time-tested and innovative projects to improve lives among rural and urban poor throughout Africa. This wealth of expertise uniquely positions Africare to implement resettlement programs that include restoring livelihoods after impacted families have been relocated. Of every Africare dollar, 94% isspent on program services in Africa, while the balance (6%) is spent on administration costs. As per the audited financial statements for the year ended June 30, 2012, Africare reported total revenues and grants totaling $75.2 million, of which, $39.5 million came from US government grants and $16 million from contributions and other grants. Total program services expenses were reported at $70.2 million, wherein expenditures on health and water development programs accounted for ~45% of the total program services expenses. Supporting services expenses stood at $4.6 million, of which, $3.7 million was related to management and general services. As is the case with many of the charities promoted at our Philanthropy and Philosophy site -- there are many ways one can help. You can donate to Africare via credit cards, debit cards, and electronic and online fund transfers. Phones can also be used to transfer funds or one can send checks via post. Donations can be made one time, on a monthly basis, through the “Give at Work” program or by becoming a life member. One can donate shares (of stock) or create trusts and bequest in favor of Africare. It also takes assistance in its fundraising programs and one can create a personalized donation webpage to share with friends and families to raise funds for the organization. From time to time Africare needs volunteers for its Washington D.C. community-related initiatives.